Selangor, Malaysia, Aug 27, 2015 - (ACN Newswire) - Scientists in Malaysia have found that crab shells are effective in removing copper and cadmium from contaminated waters. Copper and cadmium exist naturally in the environment, but human activities including industrial and agricultural processes can increase their concentrations. At high concentrations, copper can cause unwanted health effects such as nausea, while cadmium can be toxic to the kidneys. Wastewater treatment helps remove these metals from everyday water sources. Conventional methods include chemical precipitation, coagulation, flocculation, ion exchange, membrane filtration, activated carbon and high-cost technology (such as the use of carbon nanotubes). However, naturally available waste materials, called biosorbents, can clean up contaminated water at the same efficiency, but with little impact to the environment and human health. 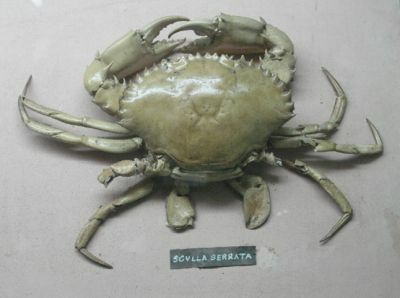 In a study published in the Pertanika Journal of Science and Technology, researchers at the Universiti Putra Malaysia tested the effectiveness of crushed shells from the crab Scylla Serrata as biosorbents. These shells are suited to removing copper and cadmium because calcium carbonate present in the shells forms strong bonds when exposed to copper and lead, while chitin absorbs the dissolved cadmium and copper. The shells themselves are a common waste material of the fishing industry, making them an excellent candidate as a cost-effective heavy metal remover. The research team carried out several tests in water conditions similar to mining or metal refining wastewater, using five different concentrations of copper and cadmium ranging from 1 to 20 per cent. The scientists found that crab shells could remove up to 95 per cent of the copper and 85 per cent of the cadmium after only six hours. Based on these results, the team concludes that "crab shells are undeniably suitable adsorbents for heavy metals from industrial wastewater."